Jimmy Jangles presents: The Optimus Prime Experiment: When Komodo Dragons get hungry, they get HUNGRY! 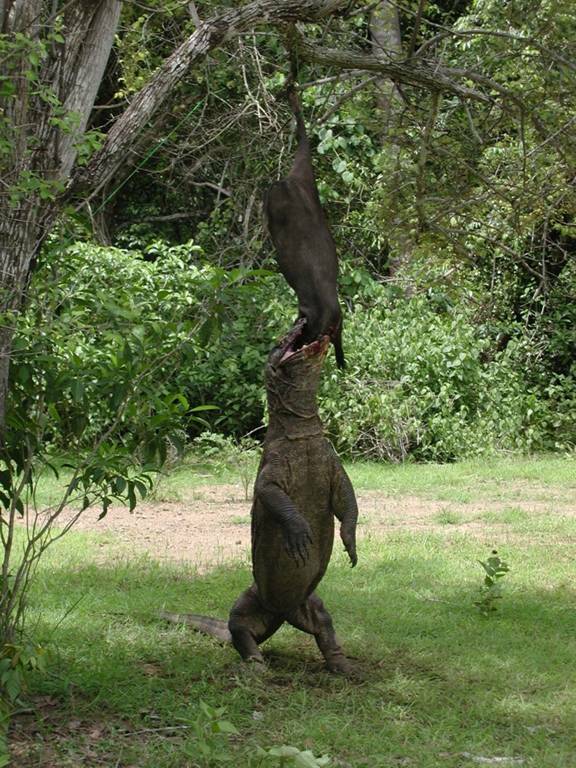 When Komodo Dragons get hungry, they get HUNGRY! As proven by these awesome shots of this fierce animal eating all kinds of prey. For some reason I'm reminded of the game Hungry Hungry Hippoes though I have no idea why! 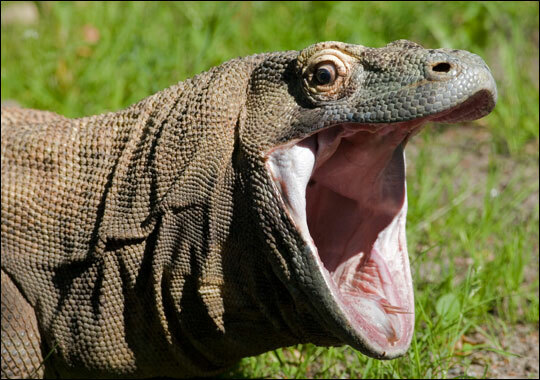 The Komodo dragon (in the scientific vernacular, Varanus komodoensis) is a large species of lizard found in the Indonesian islands of Komodo, Rinca, Flores, and Gili Motang. A member of the monitor lizard family (Varanidae), it is the largest living species of lizard, growing to an average length of 2 to 3 metres (6.6 to 9.8 ft) and weighing around 70 kilograms (150 lb). Their unusual size has been attributed to island gigantism, since there are no other carnivorous animals to fill the niche on the islands where they live. 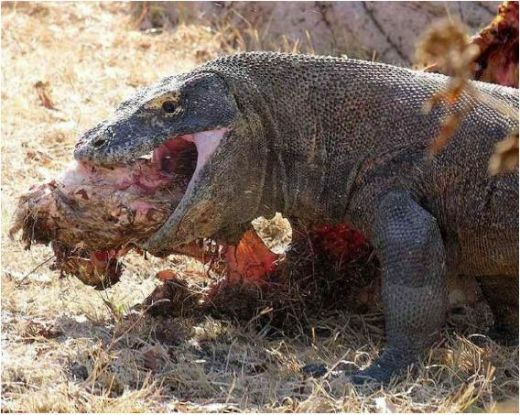 However, recent research suggests that the large size of komodo dragons may be better understood as representative of a relic population of very large varanid lizards that once lived across Indonesia and Australia which appear to have died out after contact with modern humans. Once again you have killed off a great species! For those that are still living, they are living fossils, like the Tuatara. Although Komodo dragons eat mostly carrion, they will also hunt and ambush prey including invertebrates, birds, and mammals. By that's not the real gossip, Dragons have been known to catch the odd human being too! 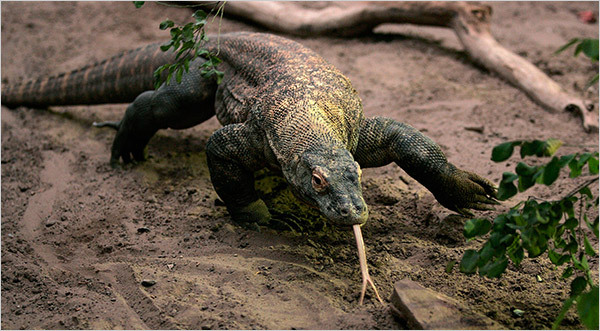 Although attacks Komodo are very rare, Komodo dragons have been known to attack humans; on June 4, 2007 a Komodo dragon attacked an eight-year-old boy on Komodo Island. The boy later died of massive hemorrhaging from his wounds. 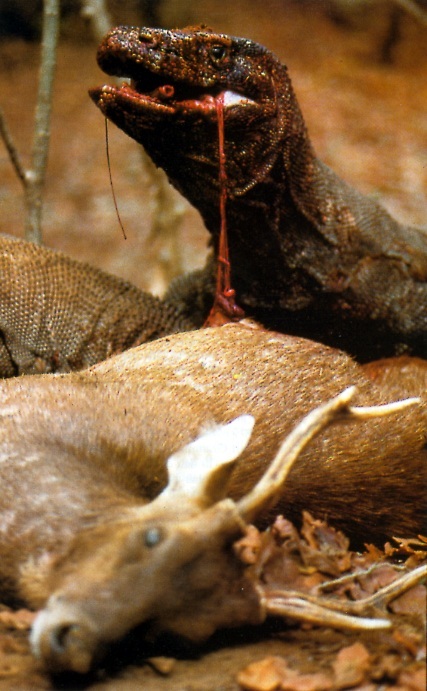 According to Australian scientific research, the Komodo dragon has a snake-like venom in its bite which sends victims into shock and stops their blood from clotting. Lead researcher Bryan Fry said three-dimensional computer imaging comparing the Komodo’s bite with that of Australia’s saltwater crocodile showed it used a “grip and rip” pulling maneuver to tear deep wounds, similar to a shark or sabre cat. As part of his Komodo research, Mr Fry surgically removed a venom gland from a terminally ill Komodo dragon. He found it contained a highly toxic poison which would induce potent stomach cramps, hypothermia and a drop in blood pressure. This finding refutes myths about the germ's in the dragon's mouth being the cause of death. The venom also blocked the blood’s clotting ability to add further distress to the animal's prey. 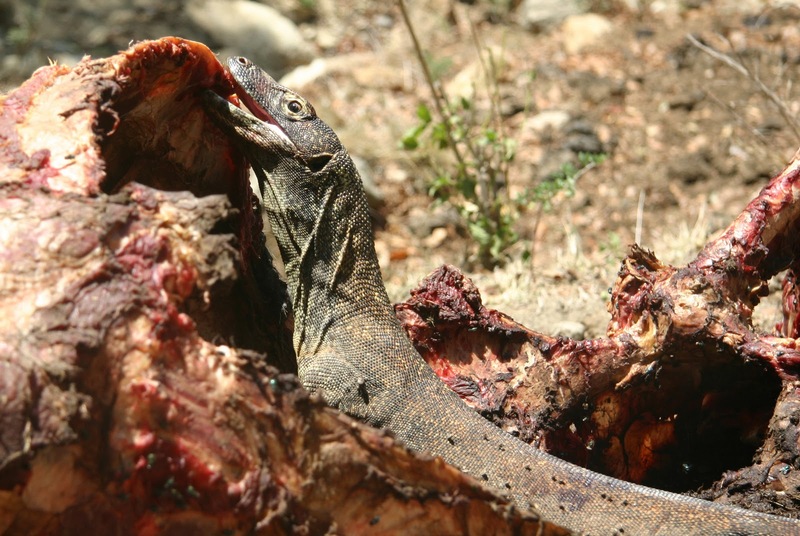 This finding could mean that the Komodo Dragon was the possibly largest venomous animal to have ever lived!